Hello Clarity Stampers, It seems ages since I last blogged a Clarity Challenge card because we have been doing some renovations on the house, I was determined to enter this month's challenge so here I am puffin' and panting last minute to get my card entered. The background was made using my new gelli plate , I used Barbara's scrunched copier paper technique. I really puzzled over which of my Clarity stamps was vintage and I finally settled for this wild dogrose stamp which I stamped twice to make a frame for one of my favourite sentiment stamps. 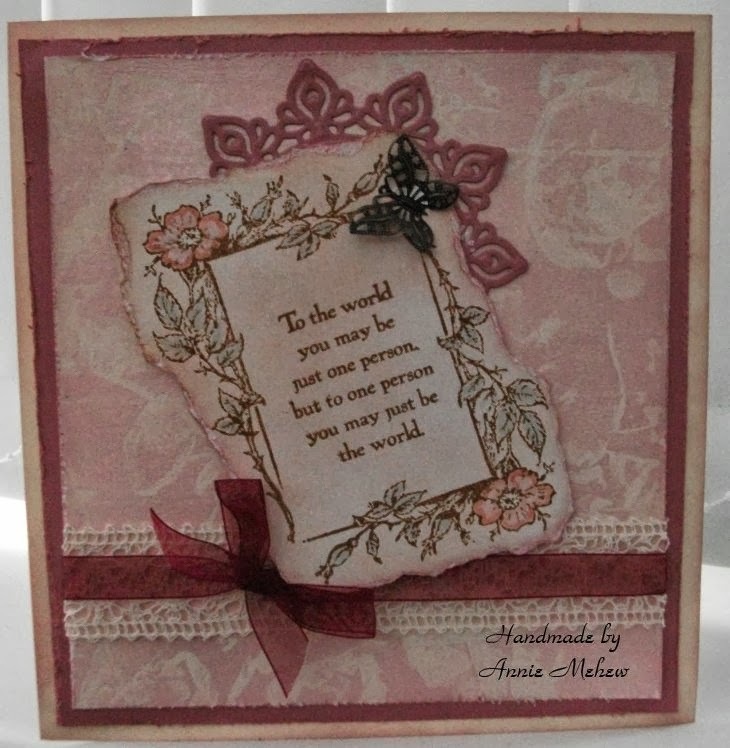 I gave my topper a torn edge which I inked and then I matted & layered onto some distressed card. Annie, hope the renovations went well. This is lovely so glad you made it. The background I adore such a delicate pink. 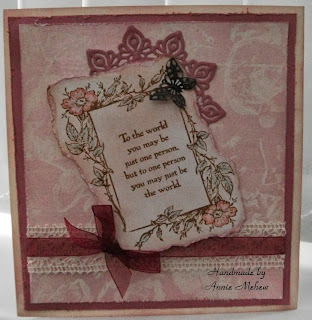 Beautiful card and has a real vintage feel. Thanks for entering and best of luck.